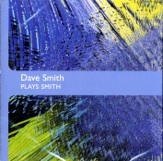 Dave Smith has been writing groups of pieces and individual pieces for piano to fit an entire concert for some years. He calls this sort of music Piano Concerts. His first Piano Concert is a series of pieces meditating on Latin American and other popular styles. Several of these appear on this recording. There’s also his On the virtues of flowers and other cool stuff. If you like postmodern British experimental piano music, then this is a fine addition to any collection. £10 plus p & p.